Do You Lack Confidence in Business Networking Situations? Business networking is key, especially for the self-employed sole trader. However, being good or earnest in your field of work does not necessarily mean you are good in sharing your interest to others or inquiring about what they do. While a certain social skill is necessary when listening to something in which you have no interest and trying to politely escape, being confident enough to go along in the first place and open up to strangers is a challenge for many of us. Perhaps you even dread the idea? There is plenty of advice on the "how" of networking ie working the room, collecting business cards rather than just handing them out to people who smile politely but file them in the waste bin the next day and becoming a connector who introduces people, rather than just touting for their own business. I found this online course http://www.kintish.co.uk/store/e-learning/ which contains four elements for £79.95. But before you reach the "how", you need the confidence to walk in and feel comfortable. "Feel good in your own skin" as they say. Then there is fear of rejection, fear of failure and fear of the unknown to overcome. All perfectly normal and understandable but annoying as they will hold you back from this wonderful medium of promoting your business. I can help you boost your confidence generally or more specifically in an area such as business networking confidence. I do this with the powerful tool of hypnosis. Hypnosis? Don't worry. It's perfectly safe and natural. You allow yourself to enter a deeply relaxed state both mentally and physically and remain in control at all times. Using hypnosis for improved business networking confidence is not about positive thinking but about making change at the deep subconscious or unconscious level where all permanent change must take place. That is the part of your mind, the 90-95% part of your mind, where your fears and niggling voices live, telling you that "you can't...." Of course you can when you retrain this part of you. It's easy, quick and very effective. The very best way to do this is for me to help you one-to-one at my practice in Portsmouth, Hampshire on the southern coast of England. I do sometimes see clients in London or Brussels, Belgium and clients fly in from other countries for my help. 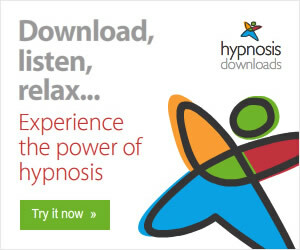 Another way to help is to listen to a download hypnosis mp3 on business networking confidence. It only costs a few US Dollars which you can pay in your currency via credit card. You can listen to it when the time suits you. 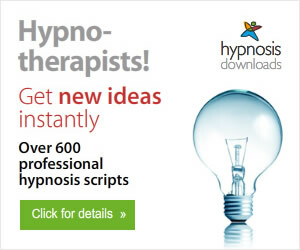 On the same page of the website, you will find a list of other business-related subjects which hypnosis can also help. Selecting two or more titles entitles you to a discount. You don't have to dread business networking meetings. With my help, or listening to this download hypnosis mp3 on business networking confidence, you will actually enjoy the meetings and find them productive in the growth of your business. By the way, I love helping people overcome their fear of public speaking, whether in small groups or to large audiences. You might dread being asked to give a short presentation on yourself at a business networking meeting. I used to be very shy and blush but improving my self-confidence through self-hypnosis has helped me enormously. Now I welcome the opportunity to speak to groups, large or small, on hypnosis and personal development subjects. If you have an issue with speaking in meetings or presentations, I can certainly help you. My STOP SMOKING IN ONE SESSION technique works time and time again because I include several elements which I consider necessary for immediate results and long-term success. I want to ensure that new non-smokers are not troubled by other people's smoke, are not tempted by their "still smoking friends", do not replace the smoking habit with over-eating and have lost the addiction to nicotine completely. Trying to give up smoking by using nicotine replacement patches, gum or tablets still keeps you addicted to nicotine. In fact nicotine chewing gum has now been linked to mouth & throat cancer. There are so many reasons why stopping smoking is the right decision to take whether for your health, your appearance, setting the right example to your children, giving you a substantial pay rise - the list goes on. Maybe you are feeling the effects of damaging your lungs when doing exercise, your skin is ageing a bit too fast, you notice your white ceilings aren't quite so white any more or see people flinch to move away from you because you reek of stale smoke. Sorry to be blunt but smokers have no idea how bad they smell to non-smokers and we don't want the stench on our clothes and hair if we visit you. For whatever reason you first started to smoke, there are plenty of better reasons to stop. If you really want to stop and are now ready, call me because I give results. I'm not the cheapest but I'm also not the most expensive. I do guarantee you this - the relatively small investment of my fee compared to years of smoking costs will be the best investment in yourself you can possibly buy.